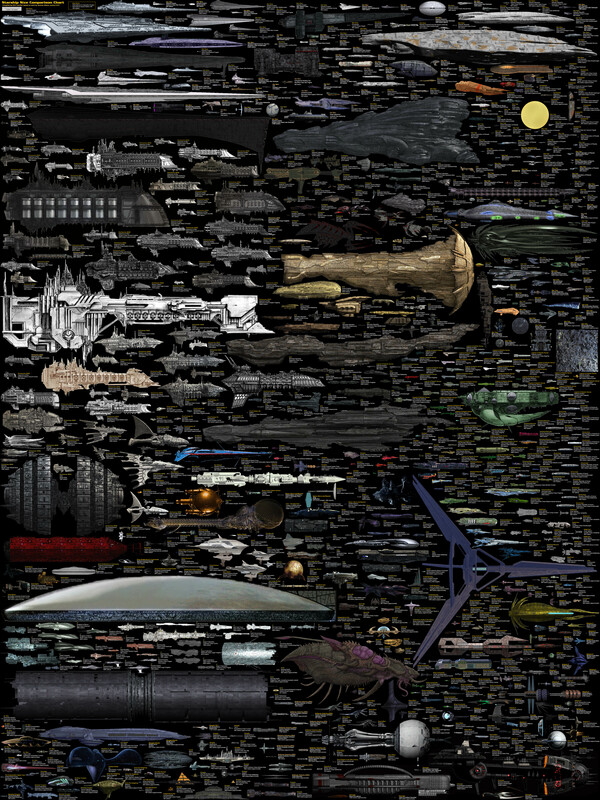 Starship size chart - The Fractal Core - Off Topic Discussion - You have arrived in the LEXXVERSE where the spirit of Lexx lives on. Lexx is one pretty big bug! Leads one to wonder after the Gigashadow, although the artist did say that he deliberately left ridiculously large structures (i.e., Death Star, Ringworld, etc) off the list due to sheer impracticality. Not enough umph to escape gravity or just to hard to steer the dam things!